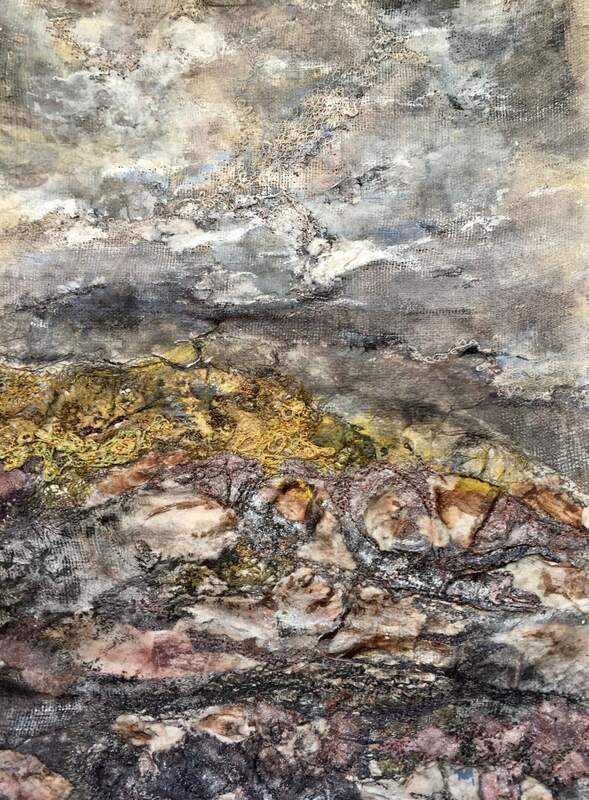 My artwork draws upon the landscapes of Yorkshire, The Lake District and Scotland. 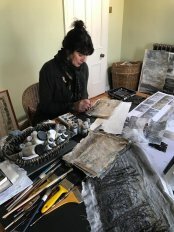 I spend time within the setting looking, thinking and recording what I see through the use of photography and sketching. I am engaged by the textures, colours and forms which the landscape presents and the impact of time and the elements as they affect change. 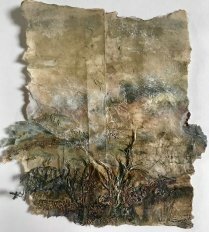 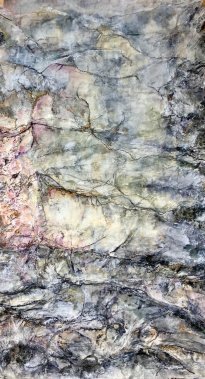 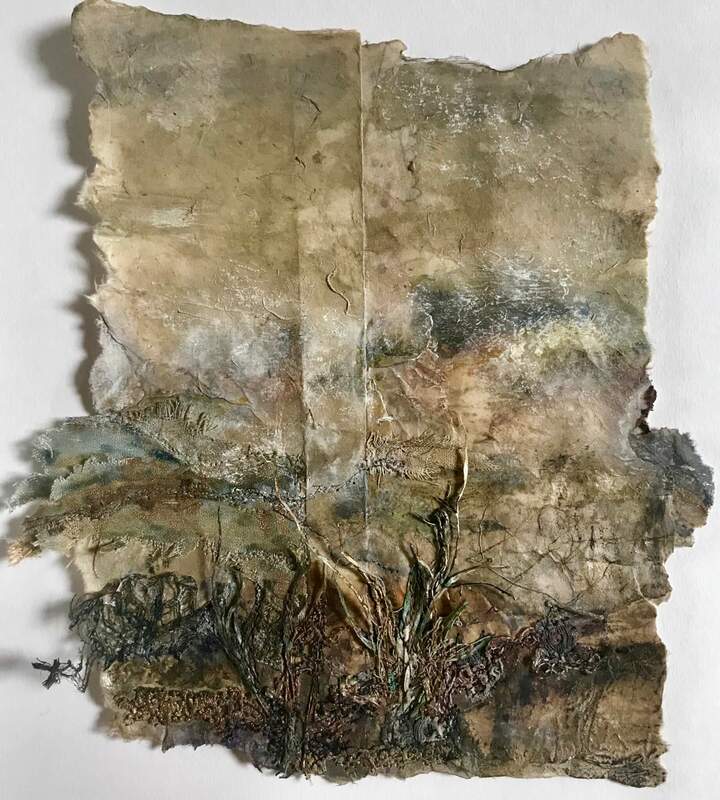 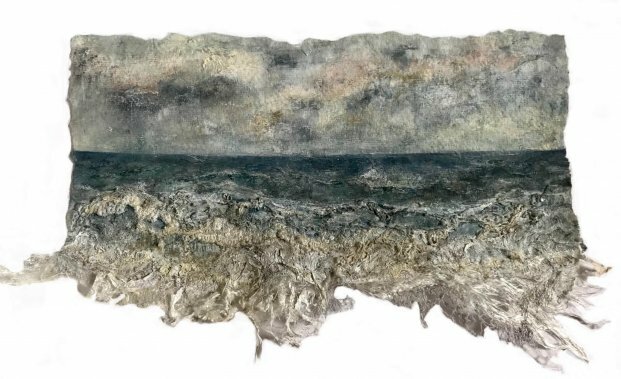 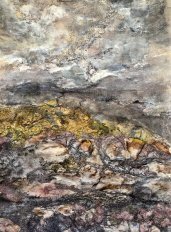 My work evolves through the use of textile materials and mixed media and becomes an intuitive process as I work from my preparatory studies, experimentation, memories and feelings. 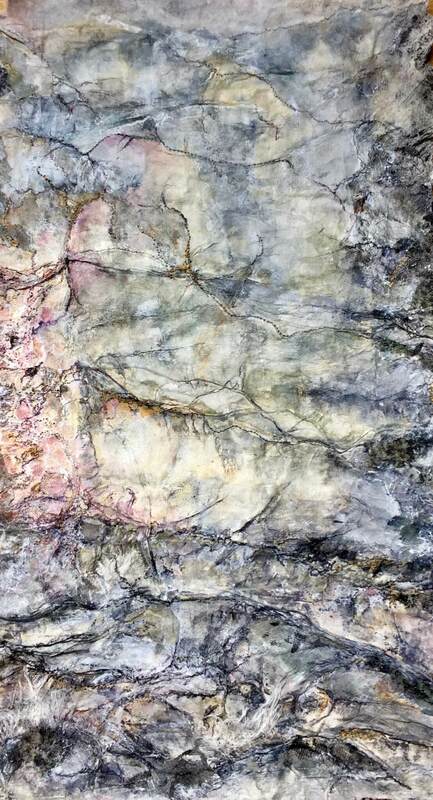 Frequently my subject material is selected due to the emotional response it generates within me. 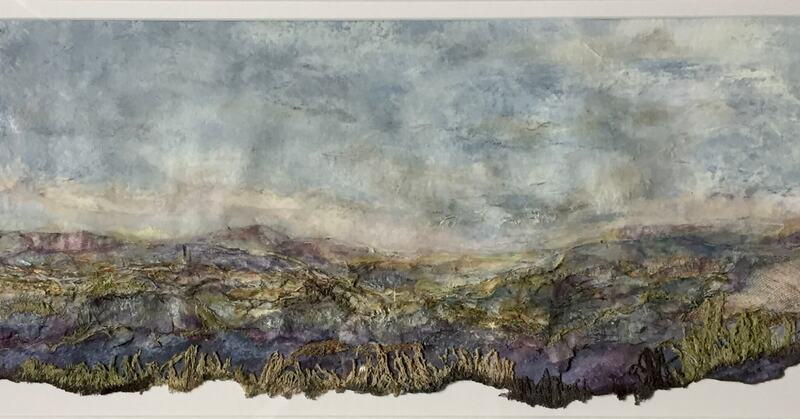 The rural landscape presents a place of solace, a spiritual and uplifting encounter where the mind can contemplate. 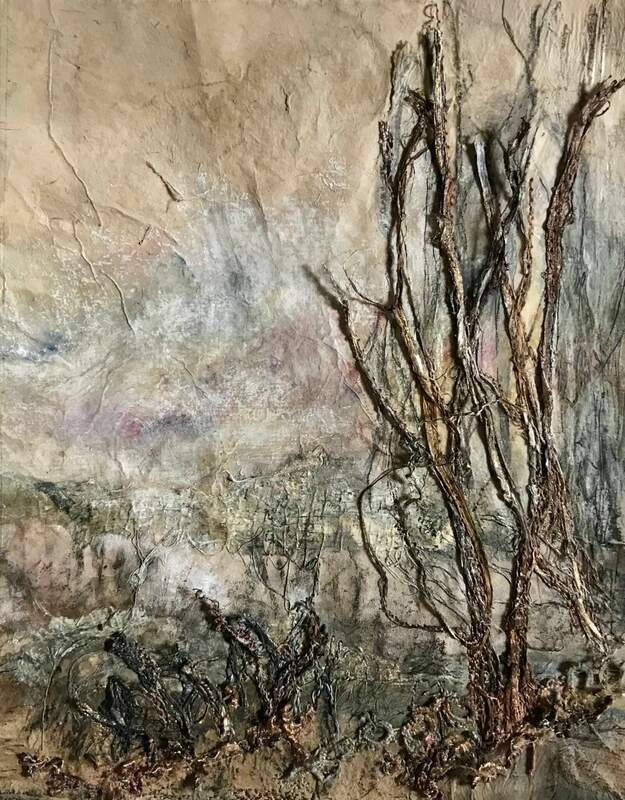 Where my work engages in the constructed landscape, the settings selected hold specific personal memories and connections for me and I am captured by the rich textures which have evolved in their structures over time.